Krakow is a beautiful city in Poland, full of history, amazing architecture and delicious food. 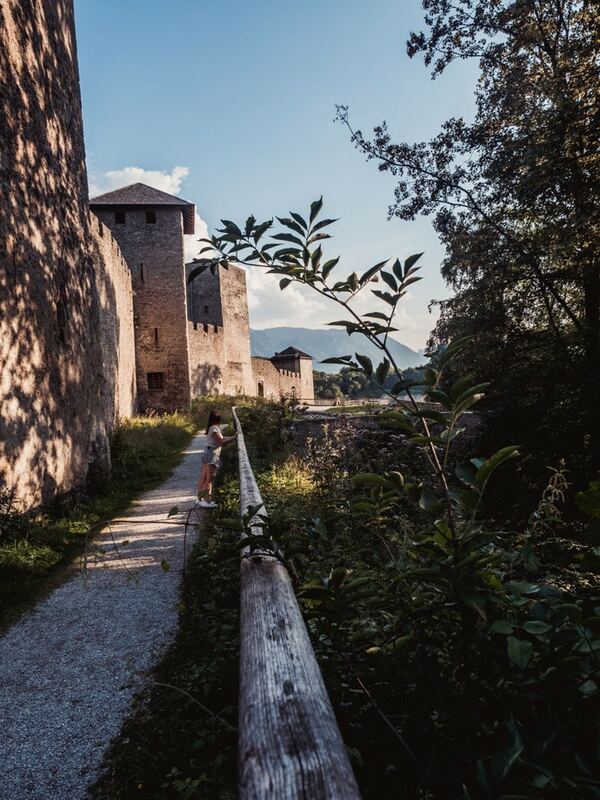 It’s a small city with many sides and it’s definitely worth the time to discover them. We spent 5 weeks in Krakow and loved every bit of it. So where to stay in Krakow to make the most of your trip? Here is our Krakow accommodation guide, including the best areas to stay in Krakow and the best hotels in Krakow grouped by location and price. 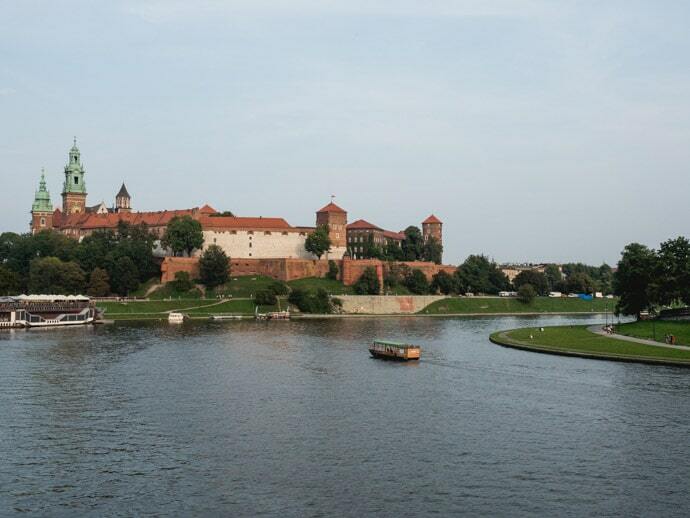 How Long To Stay In Krakow? So what neighbourhood to stay in Krakow? 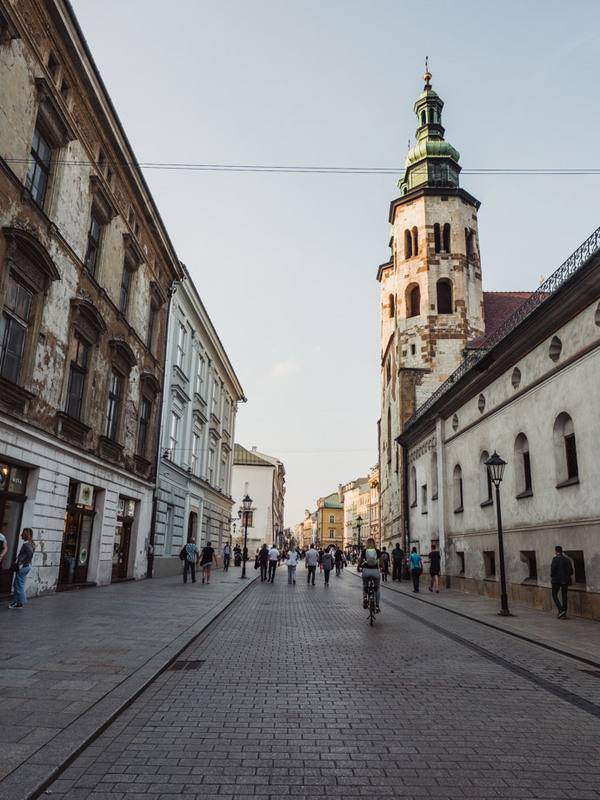 Although Krakow is a small town, you will still want to stay central to make seeing the sights and getting around simple. 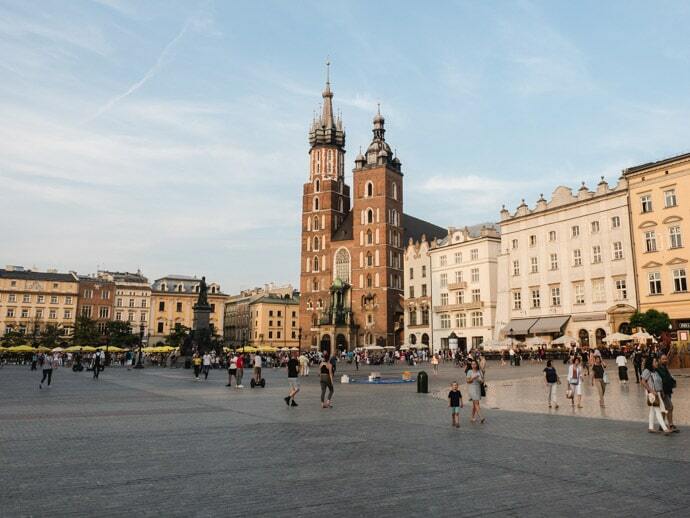 There are some great areas to stay in Krakow that offer something for everyone. The best neighbourhoods to stay in Krakow are Krakow Old Town (Stare Miasto), Kleparz, Kazimierz, Podgórze and Salwator. Krakow Old Town is surrounded by Planty Park, and generally speaking most areas on the other side of this park will also be fairly central but less touristy places to stay in Krakow. The Debniki neighbourhood is also not a bad option. 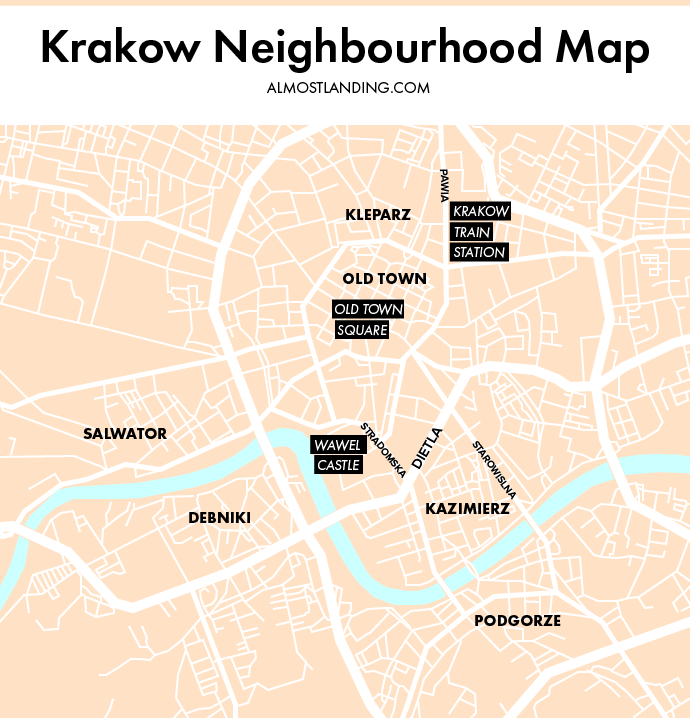 Here is our map of Krakow neighbourhoods to help you choose what neighbourhood to stay in Krakow. Krakow Old Town is considered the best area to stay in Krakow for tourists. 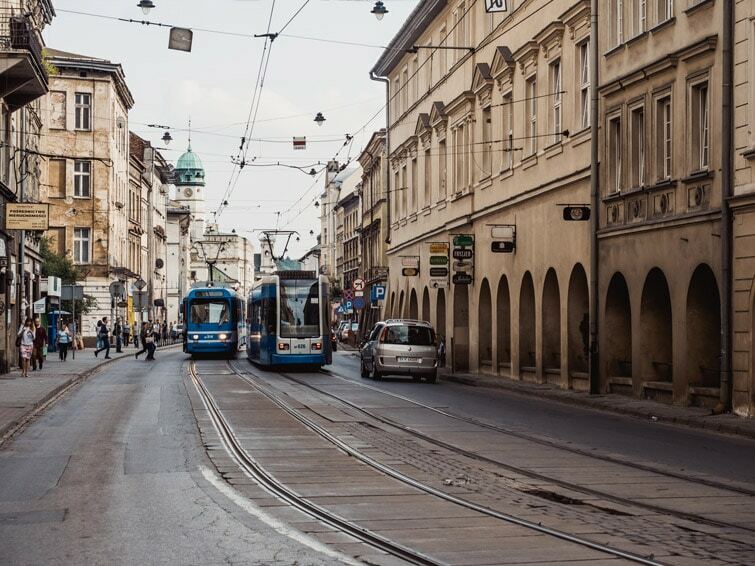 The pro’s of staying in Krakow Old Town is that it’s central, close to many sights (including Krakow Rynek and Wawel Castle), shops, restaurants and Krakow Glowny train station. The downfalls are that its convenience makes it one of the busiest and touristy areas of Krakow. But if you are only visiting Krakow for a couple of days, then staying in Krakow Old Town is a great choice. See our Krakow Accommodation Guide below for where to stay in Krakow Old Town. Kleparz is the area neighbouring Krakow Old Town and right next to Krakow Glowny Train station. So the location is super central and convenient. 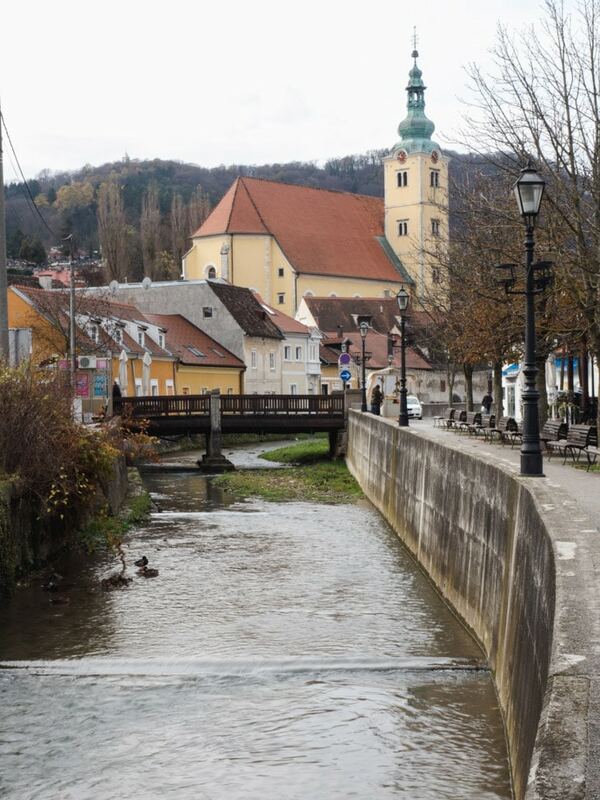 It’s also home to the Stary Kleparz farmers markets. Kleparz is our pick for where to stay in Krakow to be close to the main train station and have a central location. 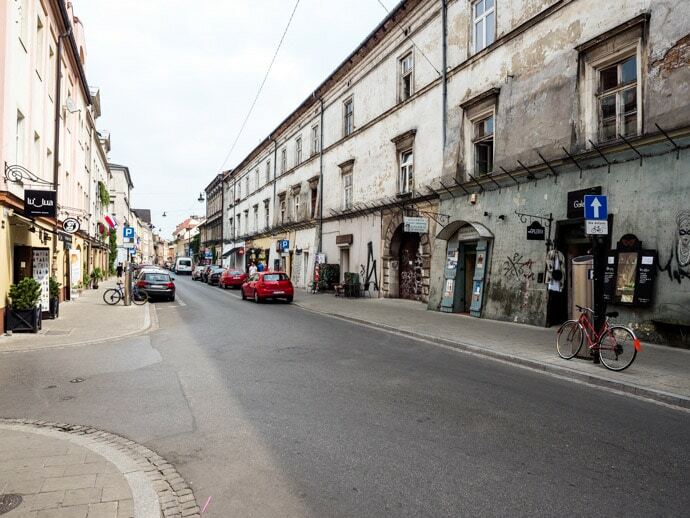 Kazimierz district is the historic Jewish Quarter, placed between Krakow Old Town and the Vistula river. This area is a little more alternative, with an interesting mix of boutique shops, restaurants and bars. You will also find synagogues and Corpus Christi Basilica, as well as many opportunities to learn about WWII. It’s still a central area and the best place to stay in Krakow for nightlife. But if you’re after a quieter stay, perhaps consider the other Krakow neighbourhoods. Across the river from the Kazimierz district is Podgorze. It was its location close to the Jewish district that led to it becoming the walled Jewish Ghetto, where Jewish people were moved to during World War 2. 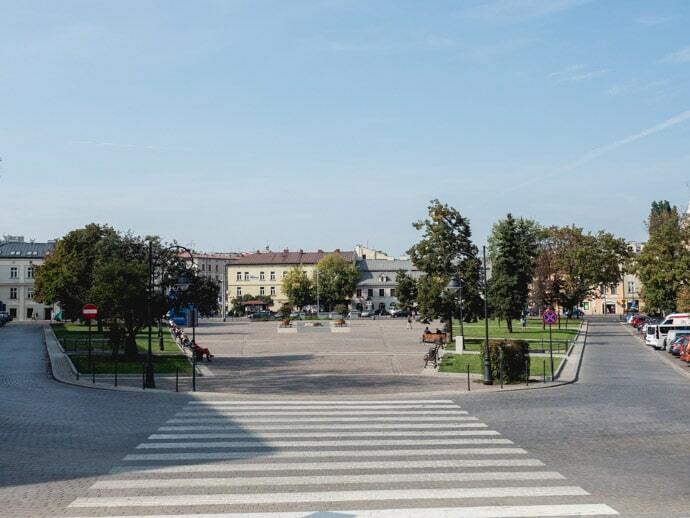 Although traces of this tragic history can still be found there today, such as Krakus Mound, Schindlers Factory, and Ghetto Heroes Square, Podgorze is now an up and coming neighbourhood. We went to some great restaurants and coffee shops here and noticed a lot of new beautifully designed buildings and areas. Although not as central as Krakow Old Town or Kazimierz, it’ still a great location. Salwator is a beautiful affluent neighbourhood in Krakow. It runs along the Vistula River and is home to the Kosciuszko Mound and Plac Na Stawach farmers market. Although not as central as Krakow Old Town, it’s only about a 20-minute walk or 5 to 10-minute tram ride into the Old Town. This is the area that we stayed for 5 weeks in Krakow, and it had such a nice, traditional, local feel. 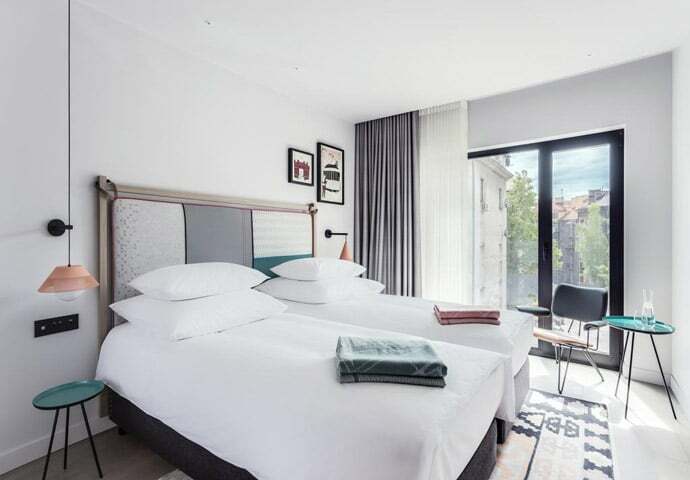 Salwator is our pick for where to stay in Krakow for longer stays. So how long to stay in Krakow? Although it is a small city, it certainly packs a punch. There is so much history here and plenty of things to see, do and eat, that a minimum of 3 days would be enough to get a taste. If you want to explore more, 4 days to a week will allow you to also do a couple of day trips, for example to Auschwitz Concentration camp and the Wieliczka Salt Mines. When booking accommodation in Krakow, there are two main websites that I use. Booking.com has some of the best prices and a large number of accommodation options available, so you will be sure to find all of the best places to stay in Krakow Poland. We love using it for our travels. 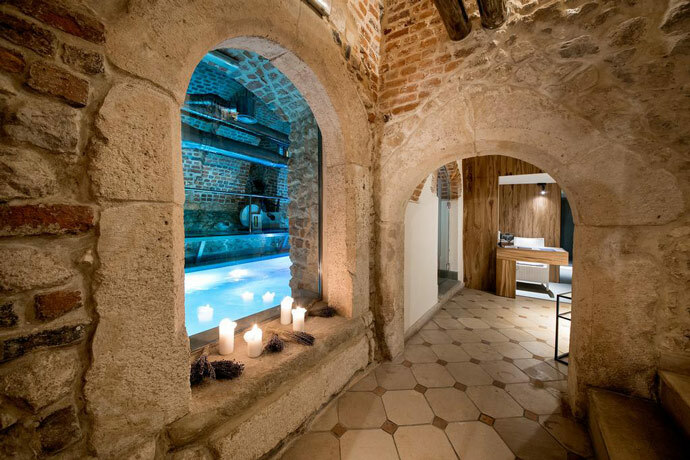 I love seeing what’s available from Airbnb in Krakow, from getting to stay with a local host or having your own place to yourself, there’s something for everyone. We have put together a guide of our favourite accommodation in Krakow from our experience of our time there and research. 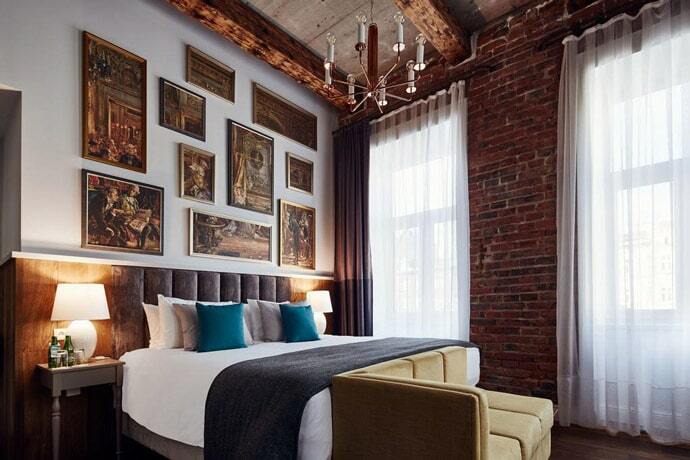 This includes 5 star Krakow hotels and the best luxury hotels in Krakow, boutique hotels in Krakow, the best hotels in Krakow Old Town and city centre, and Krakow hotels that provide more value for money. We will continually update this post to make sure we’re recommending the best Krakow Accommodation, to help you choose where to stay in Krakow.